Copyright © 2008-2016 Bridal Alterations By Ruth. All rights reserved. and feel beautiful on my wedding day! a size 4! It was very beautiful. See Liza's wedding gown alterations in her bridal photos! See Pearl's wedding bridesmaid's dress! 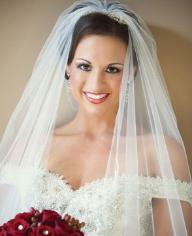 alterations you did for her, and her bridal party. I am so excited that you will be able to help me with my alterations as well. I wanted to let you know that you did a great job. Your work is wonderful. You're the best. Thank you, thank you. work. My wedding date is in the early fall, and my dress should be in soon. I am so excited that you'll be able to do my alterations as well. hardly wait to meet you. I will be sure to recommend you with the highest regard! You're the best. Thank you. Thank you so much for all of your expertise and support. for me in time for the wedding. you so much again and be on the lookout for pictures! be sure to direct everyone I know to you! bridal alterations needed in the future. looks lovely and I can't wait to wear it. Ps. Thanks for helping to make our wedding so special!! the alterations I didn't want to take it off. friend whose wedding dress you altered told me about you. Thank you, thank you so much for the beautiful job you did. The alterations made the dress look so beautiful. It is awesome. the future and recommend your services and talent to others. I just wanted to send you a few pictures of my wedding. Thank you for doing such a great job on my dress..it was perfect! another alterations place did for her! for weddings and having then so close together. I will definitely recommend your services to others. Thanks so much! I have heard such great things about you! Hi Ruth, you altered my daughter's wedding dress, and did a fabulous job!! need to have my dress altered. you to do the alterations for my wedding dress. Would like to set up a date/time to do an initial fitting? again Can we make a late (after 5pm ) appointment or on Saturdays? the world to me for you to have it completed so soon! know what can be done. Ruth for any formal alterations you may need! Thank you so much for your hard work on my wedding dress. It was perfect. refer my friends to you!